Founded in 1998, TMA-Productions is a Belgian company specialized in custom-made interiors and creating contemporary furniture. 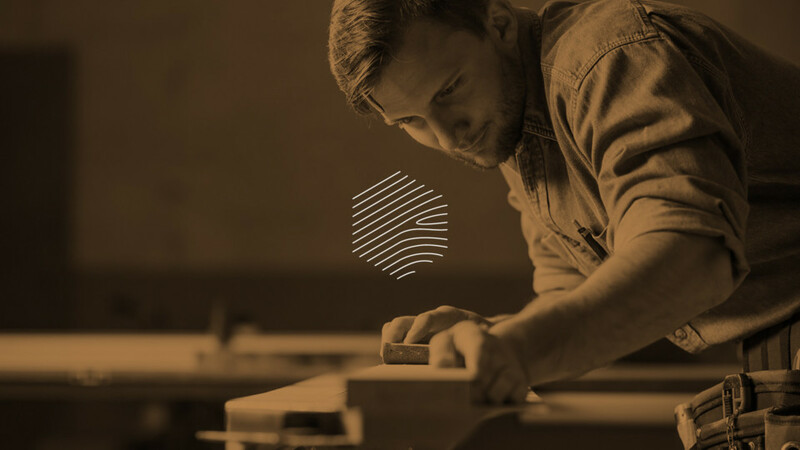 They use wood, stainless steel, marble, glass, leather, Solid Surface and many other materials to make high fashion furniture, combining innovation and creativity. 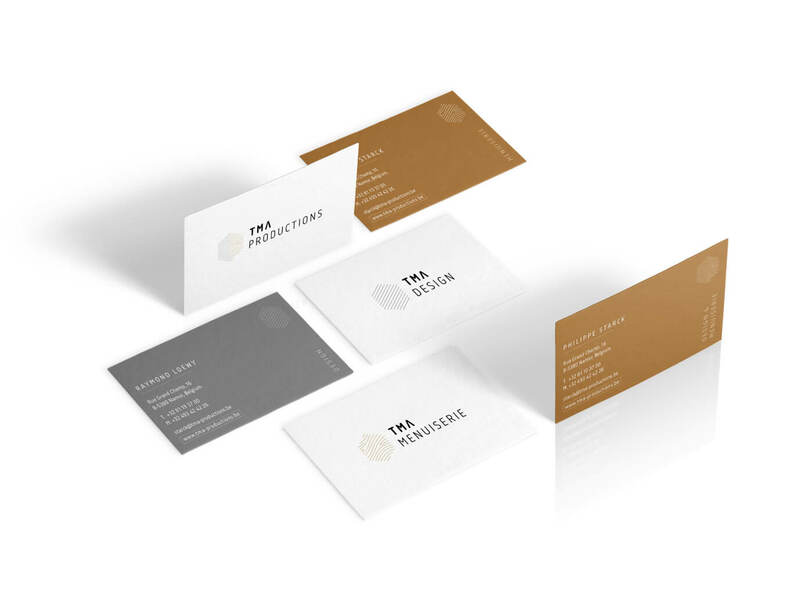 After analyzing their positioning and communication, the agency concluded that the business should be split into two: TMA Menuiserie, with a majority of professional customers (B2B), and TMA Design, with a majority of individual customers (B2C). TMA keeps the overall view while these two entities operate independently. They apply a different communication policy but graphically they are quite identical. This reinforces the image of the company as a solid structure with multiple skills. Hence, we created three different logos with a modern, minimal, strong and timeless design. Each segment has its own website with UX / UI and design created according to their own targets and needs. TMA Menuiserie is focusing on know-how and authenticity and refers to the workshop, featuring photos from the actual workplace, material and personnel. They apply a people oriented communication policy, highlighting craftsmanship and skills. 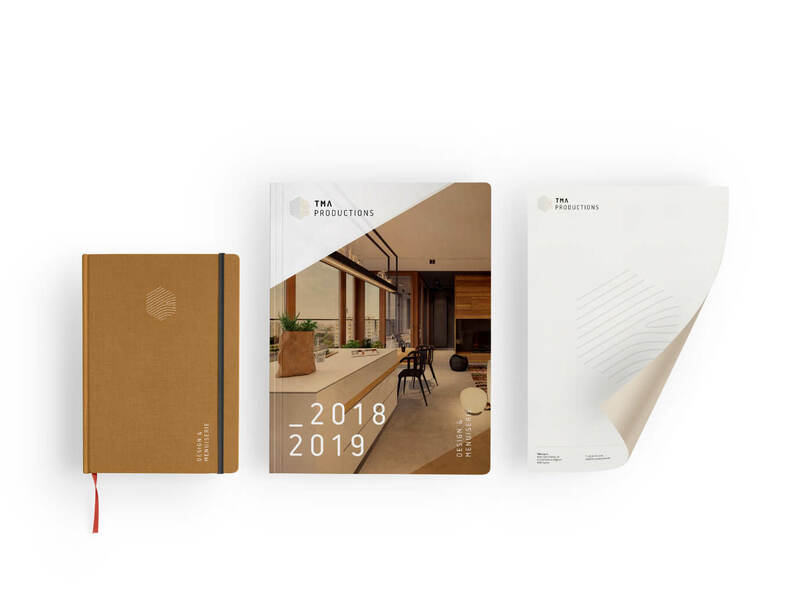 TMA Design highlights creativity and tailor-made realizations, featuring photos of achievements and referring to the company’s statement of intent, quality charter and testimonials. Here, we focus on the products, premium segments and high-end finishes. As for social networks, we decided to create two Facebook pages with separate content for each segment, creating four posts per month. For Instagram, the positioning is slightly different because of the younger audience. We set up one single account, sharing information on both activities and allowing a glimpse behind the scenes of the company. A YouTube account is used to host and share videos of both structures. The agency is also responsible for creating content from photo and video shootings.